aka, that Particle Laboratory guy. anyone knows what are lindens plans about allowing opensim to interconnect eventually? Excellent stuff, I'm excited, I remember my first webserver in 93 , I wrote down my ip and rang all my friends with it telling them to check out my new website. Can't wait to get my hands on the executable. Thanks for ur good work, appreciate it. A Not Possible IRL grid? Atlas Shrugged in the metaverse? Me too I felt much excited when I did login for the first time into my OpenSim island. It was a freeing event, as the post author wrote. Linden Lab is going to interconnect an experimental grid with OpenSim in the next weeks/months. 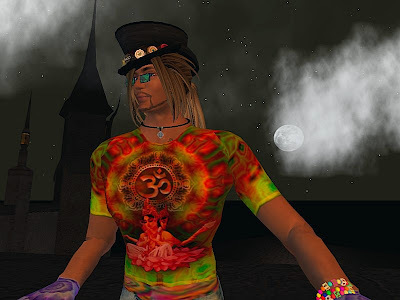 This is more or less what Zero Linden expressed at his last Office Hours (Take an avatar that is hosted on a Linden Lab agent domain and log into an OpenSim region). I looked on an OpenSim some weeks ago and, exciting as it was, it's still needs quite a bit of development to be actualy usable, like a 'normal' sim. Prolly better to just wait for LL's own implementation of software for sims run outside of LL's maintainance. @Aldo - Hear hear... more hands the better. @joikoi - You try it yet? @Edo - I guess that's what the thomtrances of the world are for, hehe. I think that holding this one back is like trying to put the toothpaste back into the tube. I'm all for embracing it... though obviously there are all kinds of issues still; some quite serious. Like thomtrance says, if you break it, you get to keep both parts. I’m trying to get my head around the above, I am what you might say a little scripticaly challenged! But as I understand it – they are developing a version of SL where you can run your own sim on your own machine at home. What are the ramifications? (Lets pretend Super Broadband exists, with no lag) Would it be like a number of different peoples home run sims integrated with the main grid? Some one could TP into your sim seamlessly, check out you’re beautifully created terrain and buy your latest t-shirt or dance at the club you’ve made? Who would the land belong to? How would the Lindens get their cut? Could this mean an introduction of a second currency - call it the New Grid Linden $NG - with fluctuating exchange rates? Any explanations in words no greater of one syllable would be great thanks. There is one *huge* stumbling block with 'rogue' sims: The main grid will, almost guaranteed, not trust them to check out assets (objects, textures, avatars, animations, sounds, scripts, etc, etc, etc) from the 'asset server'. Teleporting into a rogue sim would mean: Your inventory does not go with you. Nor your profile, your avatar shape, any attachments. You're reborn in a completely separate universe, the only thing in common between them is you and your computer at home. A common currency shared between 'rogue' sims would be *extremely* unlikely. All it takes is one unethical rogue sim owner and a few hacks, and they could rob anyone unfortunate to teleport into their private world. Thanks for the further insight jopsy. Maybe an advantage of running your own sim could be taking your time making creations with out any lag. Hopefully a hassle free way of uploading your masterpiece to the main grid would be introduced. Another scenario would be that people’s home grown Sims would be marked as ‘Private Property’ or something like ‘Off grid Estate’. To TP there would be by invitation only after clicking a “ I accept the possible consequences if… virus… info theft.. blah blah” button. This whole concept fascinates me, mainly because I have a crap broad-band connection and the lag is making SL to bothersome to play sometimes.